Preheat oven to 400 . Rub the chicken well with butter. Put 1 ounce of butter inside the chicken with the herbs and seasonings. Generously sprinkle outside with salt and pepper. Set in a roasting pan with half the chicken broth. Roast for 1 hour to 1 hour and 15 minutes. Baste and turn frequently. The chicken should be well browned on all sides. Add remaining chicken broth and reduce. 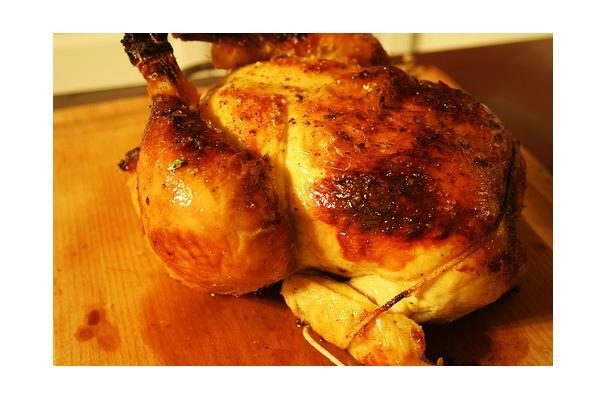 Adjust seasonings and serve with chicken.